Man, the way Splinter attacked that Kraang sentry was badass. Man Splinter's just a boss altogether in this! And you'd think Raph would be much more phased by how his shell was broken. Even a tough baby like him should have reacted more. But yeah, no big secrets or reveals like some people were assuming. Just... a bunch of really strong scenes of Splinter bonding with the Turtles and being a badass. Last edited by Ninjinister; 08-13-2017 at 02:22 AM. I could not tell: Which turtle activated the water outlet when everyone was at the bottom of the water? Oh my god!!!! that was a awesome episode, the baby turtles were adorable. I wonder if when Splinter said: "The weapons chose you", it's because all those times we saw the babies involved with their weapons (Like Mikey sucking The Nunchaku; Raph and Leo giving to Splinter a Sai and a Katana. Although I didn't see baby Donnie with a stick during the episode). A fantastic episode. Not much else I can say, thoroughly pleased. When we first saw the Baby Turtles and Splinter gave them food, he gave Donnie a stick (of food). I guess Splinter didn't have a Bo Staff at the time. I didn't notice that. Maybe something was cut out for timing or the fact that baby Donnie doing smart things was more important. It was pretty scary seeing him fall down the steps and get hit by the trolley as he's a only a baby but it didn't phase him at all. He was born to be tough. Love this episode. This episode proves to me that Hoon Lee is the best iteration of Splinter in my opinion. Also the Kraang yelling Exterminate was very dalek like. My one issue is they had Splinter and the turtles living in the subway hideout in this episode when they were young. Could have sworn they had a different home in Season 1. Ugh!!!! some people on tumblr are idiots. They are complaining that Mikey wasn't taken seriously and wasn't given a serious reason on why he got the nun chucks. Hello it's a flashback episode, so they had to keep up the continuity with season 1. Let it go Vicky The best thing is to ignore if you don't like to read it. To be honest I understand them. 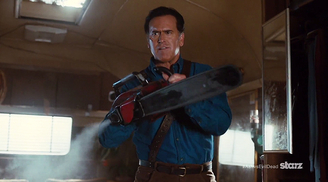 Good episode, liked that Splinter couldn't think of a fitting reason to give Mikey his weapons. Every time the Baby Turtles appeared on my TV screen I just couldn't stop smiling. They were just the cutest things. I think this was probably one of the best origin stories that I've seen in a superhero cartoon. There's no doubt that Splinter was an outstanding father figure and seeing him be so protective and loving in this episode makes me miss him even more than I did before. Pretty good episode, even if the framing device of Splinter telling a story creates a contradiction with the first two episodes. 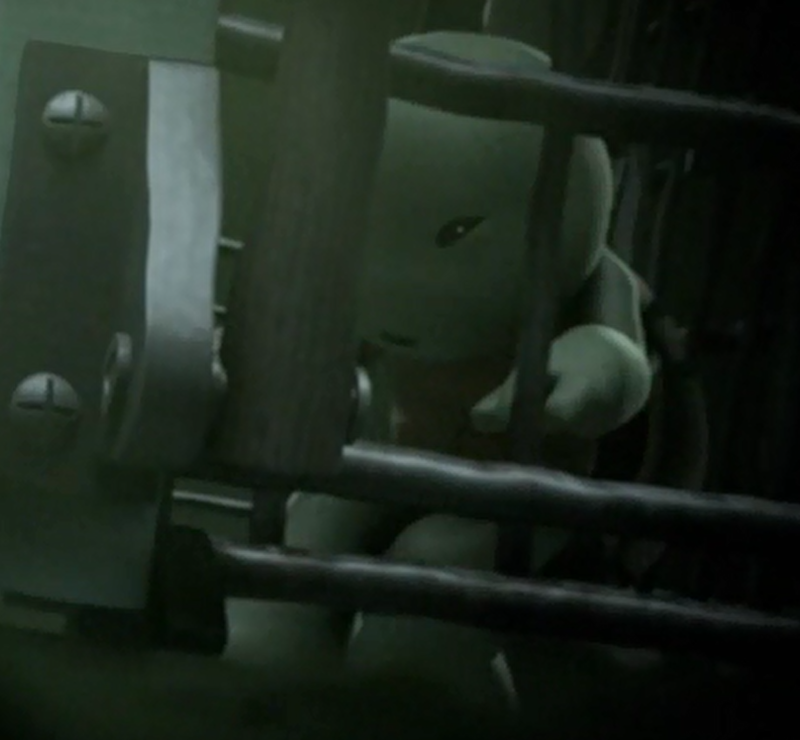 Liked the little nod there of having the Turtles mimic Splinter as a subsitute of Splinter mimicking Yoshi. I guess Splinter's reasons for giving Donnie the Bo Staff is a good explanation to Leo yelling "Donnie, don't lose sight of who you are!" Back in "Heart of Evil"
I admit the weapons origin wasn't what I expected, but I do like how it was done. Particularly with Donnie graciously accepting his bo staff, but still saying "Oh man, it's just a stick." in disappointment. While we don't see Donnie using or interacting with the staff like we see the others do with their weapons, we do see Splinter use a broom stick as a bo staff and Splinter does call Donatello "Smart one" after he plugs in that lamp but has no pet names for the others. Originally in one of the first fics I did of this series I had described the weapons origin as Donnie being brought out of the Dojo feeling disappointed that the only weapon to choose him was a giant stick. Raph sees it and immediately starts teasing his brother about how he got the most useless weapon ever. Splinter then demonstrates what the Bo Staff was capable of, which impresses Leo, Raph, and Mikey. But Raph still points out that Donnie isn't the most effective fighter which causes Donatello to go running in the direction of the dorms in tears. A year or so ago a person on FF.Net emailed me about that scene and said they had come up with part of a fic expanding on that moment and they wanted to see what I would do with it. So I looked it over and I came up with how I believed the Weapons Origin could have gone. In that fic I wrote that the Turtles were about 10 years old when they received their weapons. Splinter summons each Turtle one at a time into the Dojo starting with Leo, Raph, and Mikey. Their weapons are found almost instantaneously because they knew which ones called them. Donnie on the other hand was wanting a cool weapon because his brothers often tease him about being a weaker fighter, so he was wanting something to show he was just as capable as everyone else. When he's called into the Dojo, much like April's weapon search he tries several weapons and doesn't find one that wants him. After a bit, Splinter then says "Perhaps you are looking at the wrong sort of weapons, my son." Before picking up the Bo Staff and suggesting that he try it out. Donnie tries it out with some reluctance, and when he sees it's responding to him he tries to figure think of ways to prove it wasn't such as messing up on purpose. But ultimately accepts that this is the one that felt was meant to be his. Last edited by victory_angel; 08-13-2017 at 12:54 PM. it was pretty Awesome seeing Kevin Eastman on the writing credits.